Bai Xiaochun had killed one deva, crippled another, and forced the third to flee. Because of that, he could tell that the issues facing the River-Defying Sect… were not yet fully resolved. Although he had temporarily ended the crisis, the truth was that everything could be traced back to the Starry Sky Dao Polarity Sect. Without the tacit approval of the riversource sect, the other three great sects would never have dared to try to exterminate the River-Defying Sect…. Perhaps few people in the sect understood the Starry Sky Dao Polarity Sect well, but Bai Xiaochun had spent a lot of time there, and was very familiar with its inner workings. For example, there were five deva patriarchs in the sect. One of them was from the Hall of Steel Veins, but the other four were powerful experts connected to the four river branches! For example, there was the child-like deva who controlled the Sky Quarter. The other branches all had deva patriarchs who watched over them, and were connected to them in numerous ways. Oftentimes, clan interests played a factor. The truth was that the Middle Reaches sects were all extensions of the power bases of those devas. The moment the River-Defying Sect became part of the Middle Reaches, they began to pay tribute to the child deva. In fact, their tribute surpassed that which had been paid in the past by the Sky River Court. From that, it was easy to ascertain that the actions of the three sects against the River-Defying Sect was not a war of incursion… but rather, a game being played amongst the devas of the Starry Sky Dao Polarity Sect. Also… the child patriarch from Sky Quarter was in a weak position, and wasn’t capable of contending with the other three devas. In the end, he was essentially forced to abandon the River-Defying Sect, which led to the situation of three devas joining forces to exterminate the sect. Although Bai Xiaochun had appeared and decimated the alliance of three sects, the truth was that the figurative slaps he had unleashed actually landed on the faces of the other three devas in the Starry Sky Dao Polarity Sect! It was easy to imagine that the result would be nothing good. The other three devas would surely be infuriated, and would come to unleash their wrath! Such an outcome had never been Bai Xiaochun’s aim, and yet, in the face of sect-wide calamity, he had been presented with no other choice. “I hope the fact that I rescued Chen Hetian’s apprentice and daughter will prevent him from going overboard…. “And I sure hope that Bai Lin’s grandfather remembers how close I am to his grandson…” Bai Xiaochun rubbed the bridge of his nose. The truth was that he couldn’t rely on anyone else, and he knew it. The only thing that could ensure the safety of the River-Defying Sect was to make it as strong as possible. “I have to become a deva!” Bai Xiaochun was already feeling under a lot of pressure. After all, the only true way to resolve the situation… was for him to reach the Deva Realm! With a deva cultivation base, his battle prowess would be even more significant. With that level of strength, he could strike fear into the hearts of his opponents, and truly protect the River-Defying Sect! As he sat there in his private chamber, eyes shining with determination, he pulled out the formula for twenty-one-colored flame and began to study it closely. The formula required a huge amount of resources, something even more daunting considering he was now in the Heavenspan River region. Thankfully, his apprentice Bai Hao had given him plenty of souls to work with before he left the Wildlands. He currently even had enough souls to cover numerous failures. In the blink of an eye, several days passed. Bai Xiaochun had already slipped into his usual maddened state. His hair was disheveled, but he didn’t care. His mind and heart were completely immersed in the formula for twenty-one-colored flame; he had analyzed every single step and every procedure, down to the minutia. Perhaps it was because of the pressure he felt, or perhaps something else, but either way, he had exploded into action, and his thoughts raced from one aspect of the formula to another. Furthermore, because he had access to plenty of the spiritual power of heaven and earth, he was able to work continuously without stopping at all. To keep in top shape, he would occasionally consume medicinal pills provided by the River-Defying Sect. As time passed, he grew more and more familiar with the formula. Three more days passed, whereupon Bai Xiaochun waved his hands, summoning a large quantity of souls to begin his first attempt! He was under no illusions that he would succeed on this attempt. What he wanted was not success, but the experience that came with failure. Progress through practice led to shocking results, and was something that Bai Xiaochun alone was able to accomplish. No other necromancers would be able to sustain the unimaginable cost. After all, Bai Xiaochun’s apprentice was the Hell-Emperor, which enabled him to go to extravagant lengths when working on flame conjuring. Time slipped by slowly but surely. With each failure he experienced, his understanding deepened. Occasionally he would stop, analyze, and make adjustments. Although he looked physically exhausted, his eyes only continued to shine more and more brightly. As he slipped more and more deeply into flame conjuring, the very things he had worried would happen in the outside world began to happen. Word about the River-Defying Sect’s spectacular comeback, and Bai Xiaochun’s fight with the three devas, began to spread. All cultivators in the Middle Reaches were completely shaken, and stories even began to spread in the Lower Reaches and the delta regions. Of course, there was little need to mention the Starry Sky Dao Polarity Sect. Many individuals there had heard reports of what had happened, leading to widespread shock and astonishment. It was around that time that Patriarch Dao River, the one who had lost his fleshly body, decided to throw caution to the wind. He contacted Patriarch Starry River, and the two of them rushed to the Starry Sky Dao Polarity Sect along with a Nascent Soul elder from the Polarity River Court. They were struck with fear by the presence of Bai Xiaochun, but at the same time, couldn’t get over their jealousy and anger. As soon as the three powerful experts reached the Starry Sky Dao Polarity Sect, they split up and went to find the powerful patriarchs associated with their various sects. The patriarch associated with the Dao River Court was none other than Chen Hetian, Master of Zhao Tianjiao. He had been in secluded meditation, but when he heard about the matter with the River-Defying Sect, and the news of Bai Xiaochun, his first reaction was that the stories were simply too unbelievable! However, as more and more accounts began to spread, he came to realize the truth of the matter, and his anger burned! Although he remembered Bai Xiaochun, he had never cared too much about him. In fact, not even the fact that he had been involved with the rescue of his own apprentice and daughter counted for much with him. Chen Hetian was the arrogant type who was always condescending toward others. Back when everyone had been teleported out into the Wildlands, Chen Hetian had gone to great lengths to find his apprentice and daughter. Eventually, he had succeeded. As far as Bai Xiaochun went, though, he completely ignored him. But now, he had to dredge up that name which he had so long been buried in the depths of his memory. The fact that Bai Xiaochun now possessed such shocking battle prowess caused him to frown. Even as he pondered those matters, the crippled Patriarch Dao River arrived. Looking profoundly wronged, he clasped hands and bowed deeply to Chen Hetian. Even as the words left his mouth, shocking pressure weighed down in all directions. Patriarch Dao River’s nascent divinity shivered, and he quickly began to recount the details of the battle, not holding back anything. When Chen Hetian heard that Bai Xiaochun hadn't defeated all three patriarchs at the same time, but rather successively, he snorted coldly. From his perspective, Patriarch Dao River and the other Middle Reaches devas were all Mortal-Dao devas, essentially the weakest of all types of devas. Chen Hetian had reached the Nascent Soul stage with deva beast souls, which had enabled him to then reach the Earth-Dao Deva Realm. Because of that, it would be a simple matter for him to beat those same three devas by fighting them in succession. 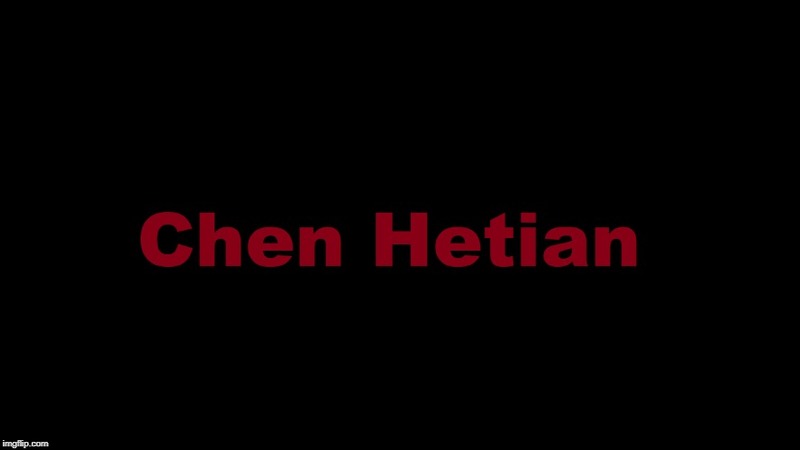 When Chen Hetian heard that, his eyes flashed with cold light. “What gall this dog has!” he said in an icy voice. “Is he looking to die? !” With that, he sent his divine sense out to contact the deva patriarchs in Starry Quarter and Polarity Quarter. As far as he was concerned, the person in the worst position because of everything wasn’t himself, but rather… the patriarch from Polarity Quarter, whose subordinate had been killed!